NEVER COMPROMISE - these aren't just words, its what we believe in. We never compromise in our pursuit of breeding the perfect animal. We strive to produce cattle that will lead the global beef industry into the future. Our cattle are bred from proven, high performance genetics and we raise them in an environment that tests their worth. We are focused on consumer demands and recognise the ultimate outcome is supplying an incredible natural product that enriches lives. Every dollar into our industry comes from a consumer - we strive to breed what they demand most. The 3R brand is a seal of integrity - it represents a level of quality you can trust and a comfort in knowing it is earned - not gifted. We believe in hard work, and ensuring you receive unrivaled value, expertise and quality in every measure. We bred bulls for the Cattleman. We have a long term vision and operate in a sustainable way for the future. Our industry must be socially responsible, environmentally sound and economically viable - these three factors will ensure opportunity for future generations. To achieve this our cattle must be efficient in the production of quality beef. The world is changing rapidly - we are building a future. We value strong relationships. We take a genuine interest in you and have a commitment to your success. Let 3R join you in your pursuit of perfection - together we can achieve greatness. Every day 3R is striving to produce the perfect animal. One that is genetically superior, phenotypically flawless, built to last in the toughest times and flourish in the good and - wearing the 3R brand. What can 3R Genetics Deliver For You? 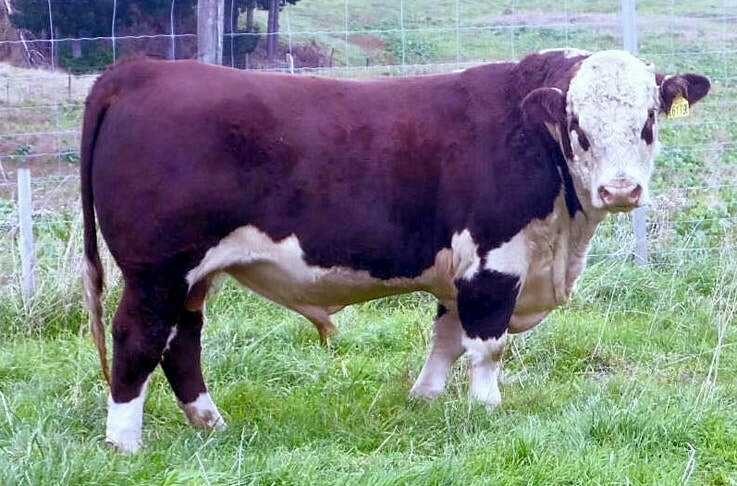 These traits are proven to drive more profit to your bottom line, more reward for your efforts, the power of world class genetics, bred for Australia's Cattlemen. Downward pressure on cattle prices continued this week as much of the country remains dry. The rain fuelled resurgence seen in the second half of March (peaking at $507c) is now fading fast as the EYCI fell to back to $452.5c (down 6% for the week). Overall most yards saw increased volatility in prices for young cattle as buyers are well positioned to exercise judgement. Heavier and breeder cattle have found more support than young cattle in the past fortnight as the grass continues to grow in areas fortunate to have found rain but caution remains until critical follow-up rain cements an improved outlook ahead. Cows, in particular, traded in a very tight range in most cases with the National Medium Cow Indicator moving only $1-2c around $188c. OTH quotes in QLD have risen slightly in recent weeks as grass stems the follow of cattle coming forward. Across the Eastern Seaboard, fewer cattle came forward this week and the final numbers will fall within the range of normal for 2019 so far, well below the surge of cattle seen last week. With a disrupted selling week next ahead, it will be interesting to see where the market sits in a fortnights time. We are right at the critical period for winter crop plantings, a crop that will shape the fortunes of the feedlotters for the medium term. Data acknowledgement - MLA, USDA - This information is for interest purposes only and should not be relied upon. In mid-March ‘The Green New Deal’ resolution was introduced to the USA House & Senate. This deal was proposed, drafted and introduced by Presidential ‘Hopeful’ Alexandria Ocasio-Cortez or AOC (or Alexandria Occasionally Correct to some). At it’s highest level this ‘deal’ is about reducing climate change over the next 10 years however the methods prescribed should greatly concern Agriculture, particularly our industry. While this is the latest instalment in the USA there is no doubt this movement exists globally and a increasing concern to all. While 'The Green New Deal' is not in the format to be enacted into law, the desired outcome is clearly to create a lightning rod to attract the left leaning, Trump adverse, population to the cause. One could argue that engaging President Trump is the ultimate marketing plan. If sufficient community support can be harnessed the push to legislation may not be too far away and there is certainly precedent to show the global spread of such movements. Despite 1 Farmer feeding 600 People every single day the majority of the population are terribly disconnected from their food. As Farmers we must start rebuilding this relationship. So how does this relate to the beef industry? While the final version of the deal does not directly reference cattle, the supporting fact sheets state “We set a goal to get to net-zero, rather than zero emissions, in 10 years because we aren’t sure that we’ll be able to fully get rid of farting cows and airplanes that fast.” To assume that cattle are not in the cross hairs of global environmental campaigners would be incredibly naïve. So why do cattle cause so much concern? The history of cattle being considered a major contributor to climate change (or previously global warming) stems back to 2006 when the United Nations released a report titled ‘Livestock’s Long Shadow’. This report incorrectly stated livestock contribute 18% of global emissions – more than global transport. The calculation methods were called out as inconsistent and agenda driven and in 2010, after 4 long years of campaigning, a retraction was issued. Unfortunately the retraction did not have the marketing budget of the report and to this day this false statistic remains the common reason for public scrutiny. In 2016, 10 Years after the first report, the USA Environmental Protection Authority (EPA) completed an extensive study which found that livestock contributed only 2% of GHG emissions. Transport was 28% - more realistic BUT nothing has had the same impact on the greater population than the well-funded, factually incorrect report from 2006. The UN continue pushing their agenda and are now promoting 'lower consumption'. But cattle still omit methane right? Cattle do omit methane, as all ruminants do. The vast majority of methane emission come out the front end not the back as fodder ferments. Scientists are discovering that after 10 years methane transitions to carbon. As we know, plants (including grasses) need carbon to grow. We should also recognise that the methane levels of today were, in part, contributed to by the herd 10 years ago. Consider the production improvement made in the last decade in genetics, management and efficiency and there is a strong case we are well ahead in the GHG reduction quest. So what is the good message? Cattle producers today are producing vastly more beef from fewer resources (cattle, land and inputs). This is being achieved through higher efficiency. The vast majority of the earths surface is not suitable to produce food for human consumption yet cattle are great generators of protein, in fact per single gram of protein consumed cattle produce 2.53 grams of protein. Globally farmers are custodians of much of the land and manage this for the good of society. Beef is a remarkable product that generates health to our population, vitality to our communities and a future for the growing population. We will continue to hear about the ‘Green New Deal’ until something even more sensational arises but rest easy knowing that there is not a single factory in the world that can do what you do – the world needs you every single day. Click below to access previous 3R Reports. To subscribe to the 3R Monthly Livestock Report please click below. Arguably the most in demand sire in the Angus breed today. The product of proven, high performance genetics with a bold look. The pinnacle of Line One breeding - incredible look, pedigree and performance backed proven elite Line One lineage. The next generation of the Techno line. 6179 brings commercial relevance, maternal strength and carcase with great phenotype.